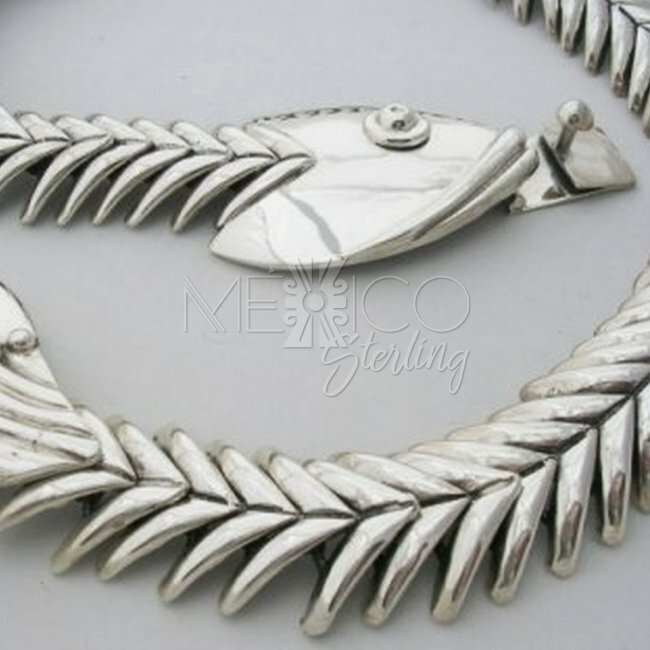 Silver Fish Necklace Old Taxco Reproduction [NKL752] - $395.00 : Mexico Sterling Silver Jewelry, Proundly from Mexico to the world. 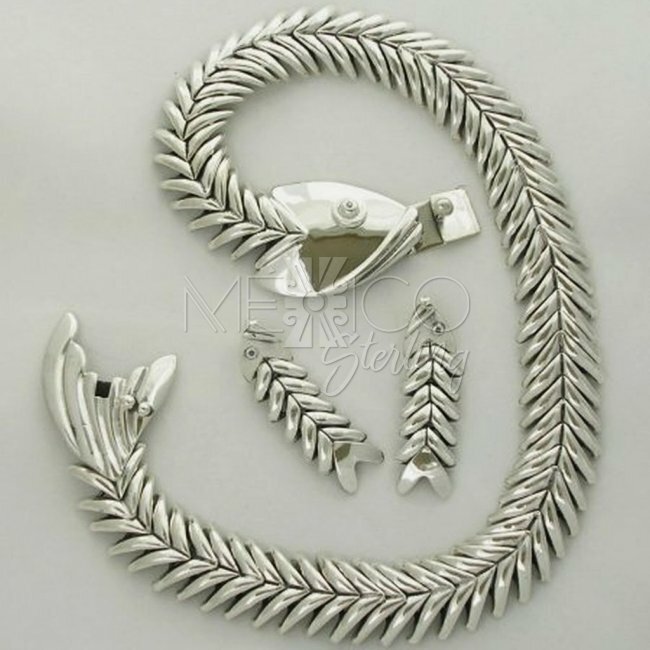 Dimensions: W: 3/8" at the centerpiece. 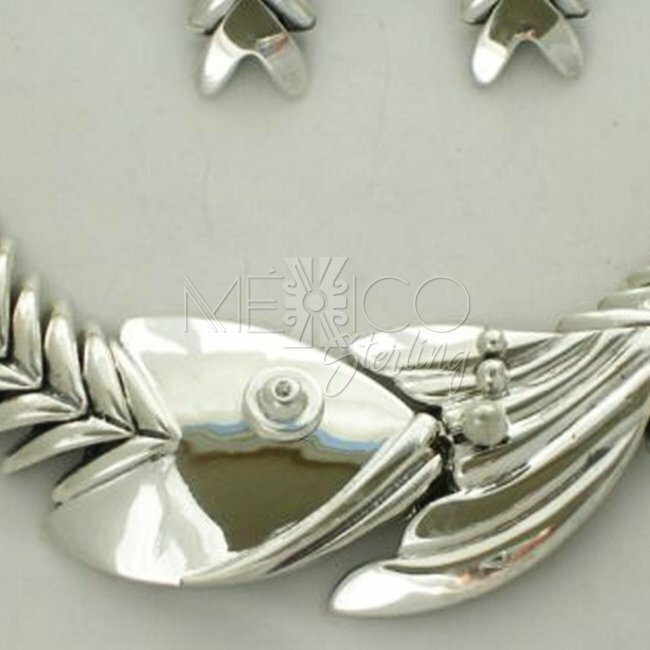 Length : 18"
This is a beautiful "los Castillo" reproduction. I am sure some of you are familiar with this fantastic design. 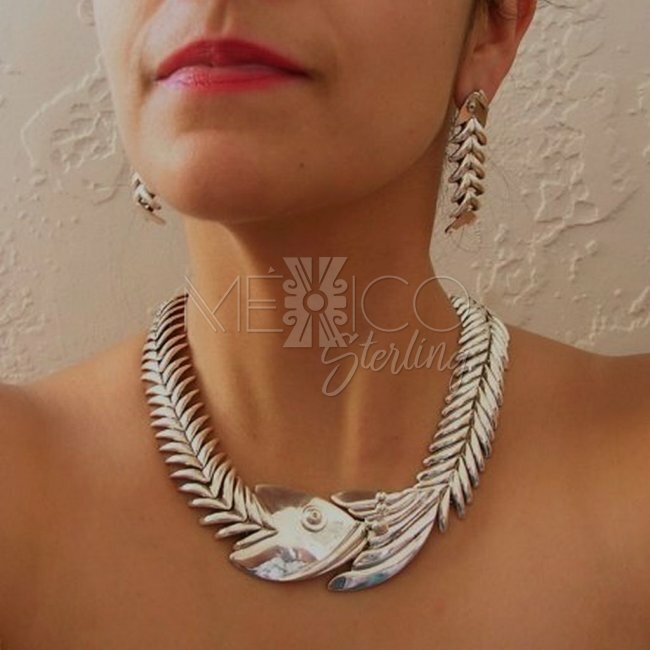 This Mexican necklace was made in the "Old Taxco" tradition. 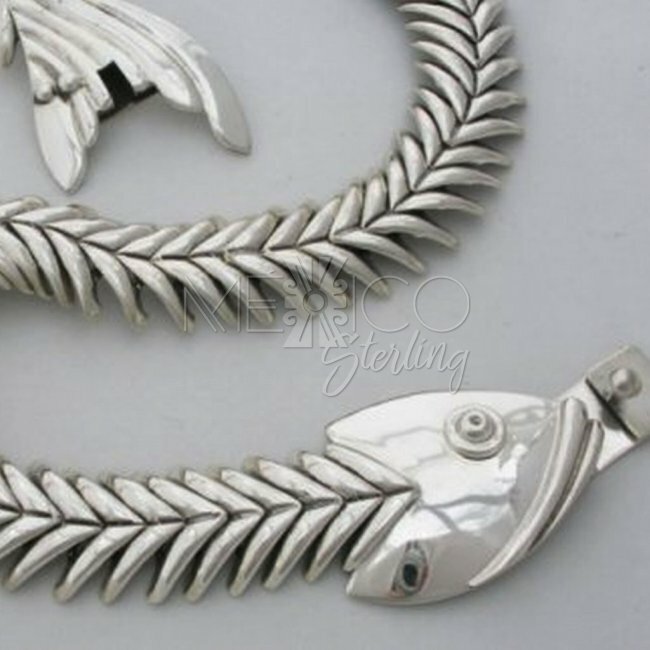 Completely Handmade silver necklace, beautifully finished with an excellent workmanship. 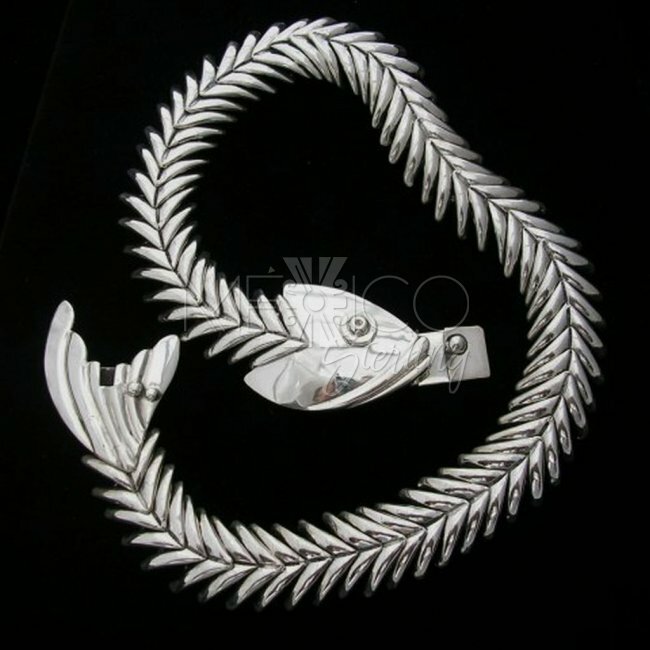 The design was first introduced in the late 1950's. The quality on this piece is excellent. 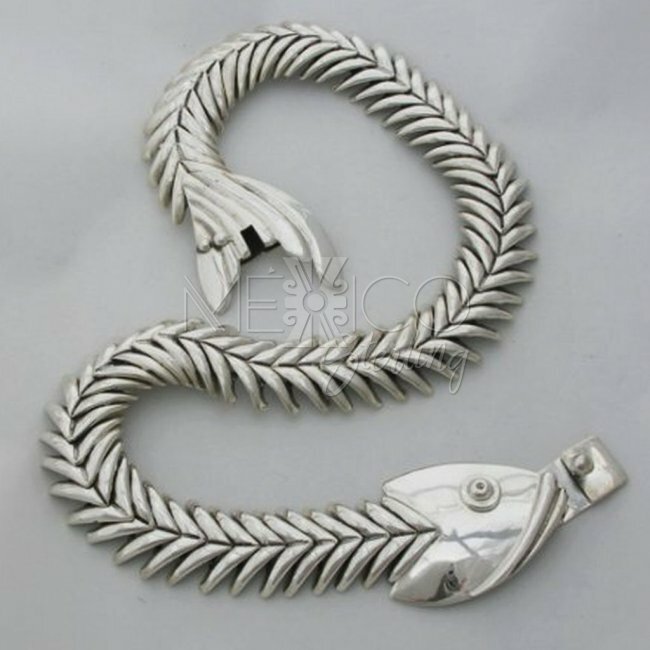 It is also sturdy and substantial in weight, with a total of 135.1 grams (4.3 ounces). 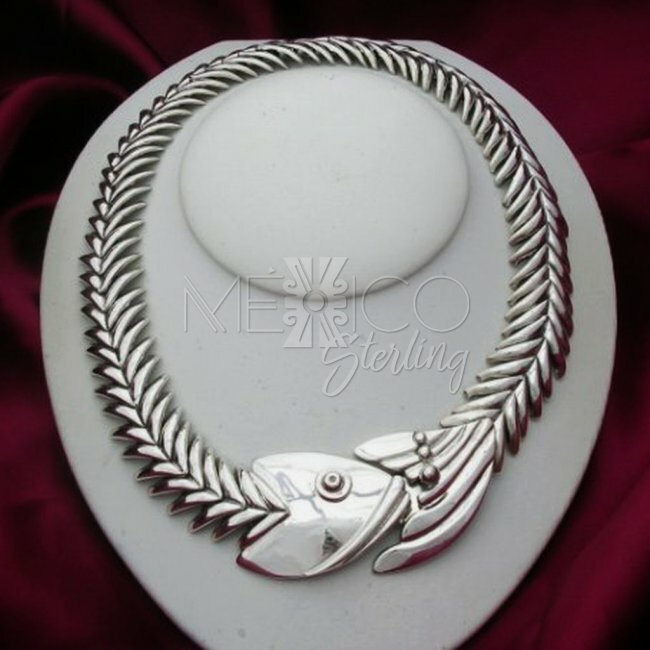 Please take a good look at this silver piece, Every link building this Taxco silver necklace makes it very flexible and real to the eye. This is one of my favorite pieces without a doubt.